Inspired by the unique light, the beauty and the mystery of Normandy,impressionist painters set up their easels along the Channel coast and the banks of the Seine, in Rouen's Old Town and Monet's private gardens in Giverny. Today, you can walk in their footsteps, admiring the same timeless landscapes as well as many original works. Find your own inspiration in the verdant landscapes, charming sleepy villages, vibrant colours and ethereal light that captured the hearts of Claude Monet, Sisley, Turner and many others. 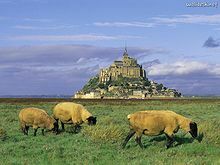 The mount is best known for the medieval Benedictine Abbey and steepled church that occupies most of the 1km-diameter clump of rocks jutting out of the waters of the English Channel. 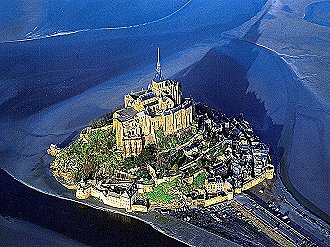 Mont-Saint-Michel is connected to the mainland via a thin natural land bridge, which before modernization was covered at high tide and revealed at low tide, giving the mount a mystical quality. 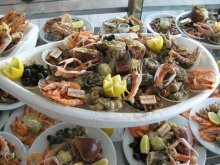 This little maritime city, which has somehow escaped the ravages of time, has managed to preserve the traces of a rich historical past, which make it one of the most visited towns in France, with its picturesque backstreets and old houses. 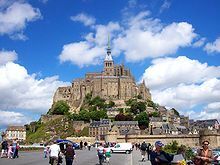 Its international renown is partly due to the authenticity of its narrow paved streets and timber-framed house-fronts, its little shops, charming hotels and typical restaurants, but also to the variety of its monuments and the wealth of its cultural and artistic heritage. 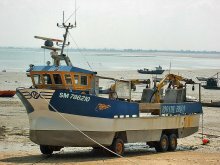 Simultaneously fishing harbour, marina and commercial port, Honfleur has succeeded in making the most of its rich historical and artistic heritage. 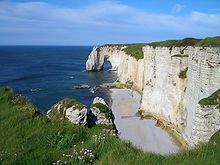 A romantic open-air theatre overlooking the Channel, has provided inspiration to some of the most illustrious artists, and even a brief visit is enough to understand why. 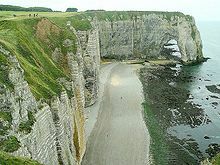 The astonishing verticality of the cliffs of the Alabaster Coast contrasts perfectly with the gentle roundness of the shore. The waves of pebbles on which children love to slide reflect those of the sea, and transport you into a world of dreams.